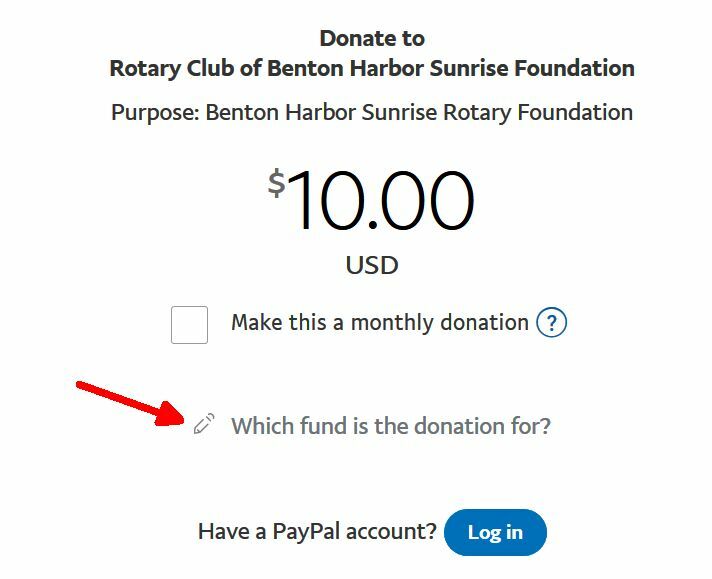 Your tax-deductible donations will go to the Benton Harbor Sunrise Rotary Foundation, a 501c(3) public charity. We use Paypal to accept donations but you you may use any debit or credit card; you don't have to use a Paypal account. You may specify a fund for your donation while making the donation. Just click on the button below and then, after the Paypal dialog opens, click on the pencil (see below) and type in your choice.